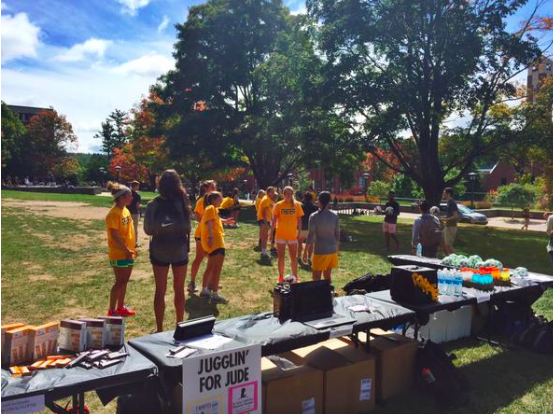 A Little Help from Friends/Teammates to Raise more Money for the Kids at St. Jude! 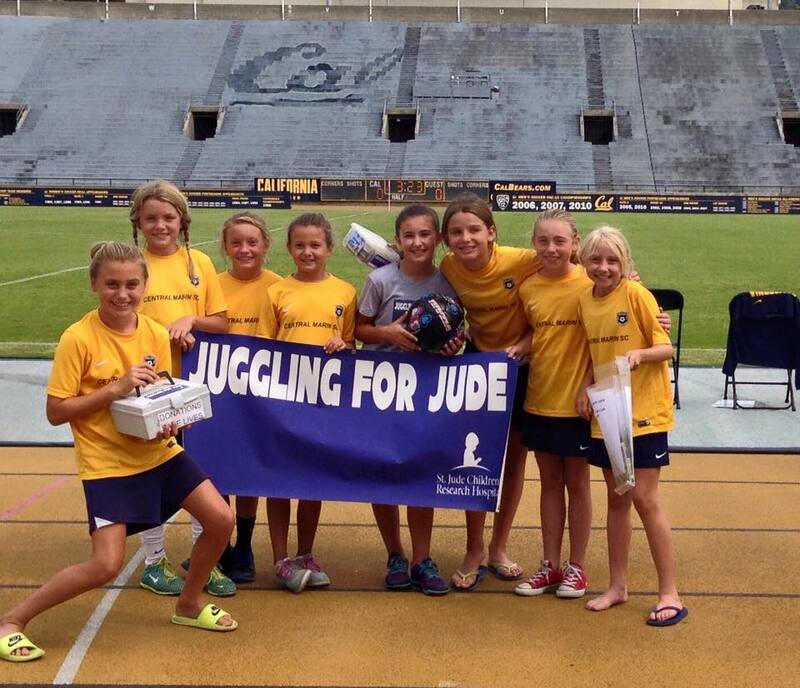 This is a picture of some of my awesome teammates who helped me collect money for St. Jude while I juggled during halftime at a Cal Bears Women’s Soccer game. We raced there after our own game, made it in the nick of time, and raised more than $500, thanks to the generous fans at watching the Cal game. September is almost over, and we have a ways to go to reach my summer 2015 goal of $40,000 for the kids at St. Jude. 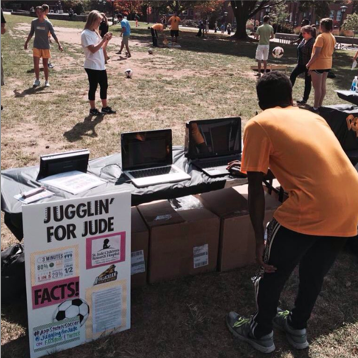 Perhaps you can donate and tell your friends about Juggling for Jude, so they can donate, too! 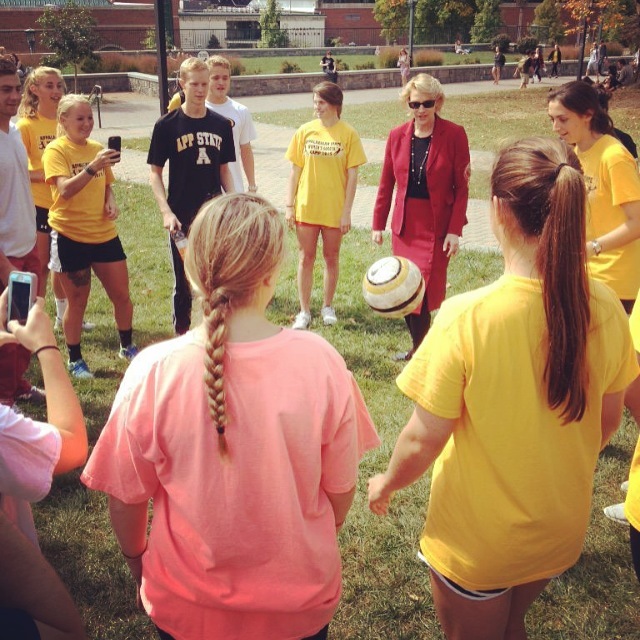 Days 45-47: 140, 340, and 296 Juggles. Plus: It’s Been a Super Meaningful Week for JUGGLING FOR JUDE! PLUS: BRAIN CANCER STINKS! Let’s Make it Stop! The picture on the left is of me and Kayla. Kayla is 11 years old, has a cat, has a younger brother, lives near me, and is still here and smiling because she her life was saved at St. Jude Children’s Research Hospital. Kayla was diagnosed with a certain form of brain cancer back in 2011 when she was 7 1/2. She continues to go back to St. Jude for checkups every six months, and after five years she will be declared officially in remission. That will be on December 17, 2016, and I hope to be there for a HUGE party! 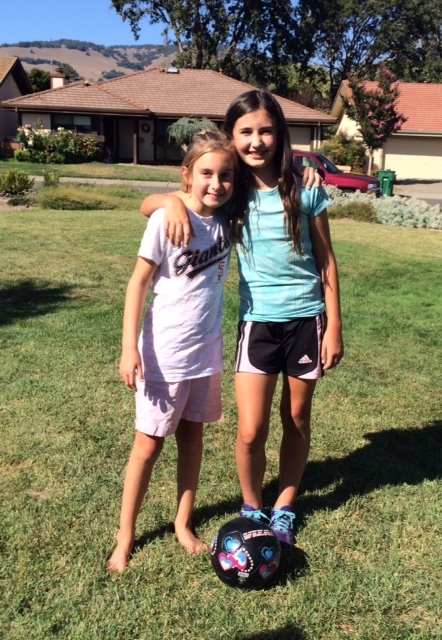 Kayla watched me juggle yesterday, and she is the world’s greatest cheerleader! Her parents want people to know that St. Jude is filled with “hope and spirit,” which is why it is so life-saving. They also want people to know that pediatric cancer is the leading cause of death in children, and it is St. Jude’s mission to change that, so PLEASE DONATE TODAY if you can spare any dollar amount at all. Do it in honor of Kayla, her amazing grit, her sweet smile, and her awesome attitude! If that doesn’t get you to donate, how about this? 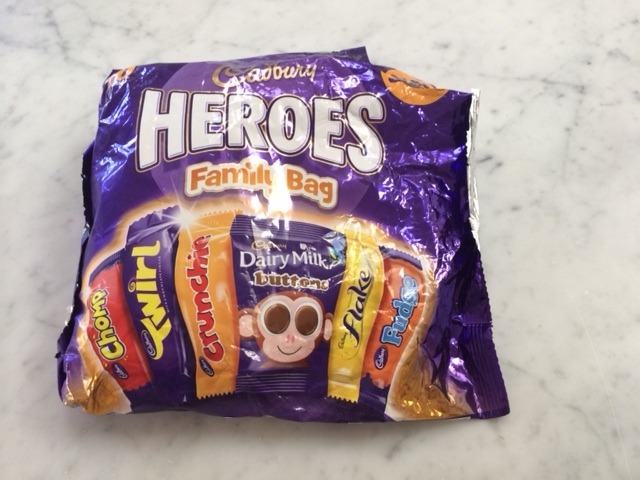 The picture on the right is of a bag of chocolates from Ireland called Heroes. This was sent to me by someone whose own son died of brain cancer a few months ago. Even though she is so sad and misses her son so much, she donated money to Juggling for Jude to help save other children with cancer. She sent me a beautiful note and these amazing chocolates, because she thinks I’m a bit of a hero. I can’t even believe how nice that is. 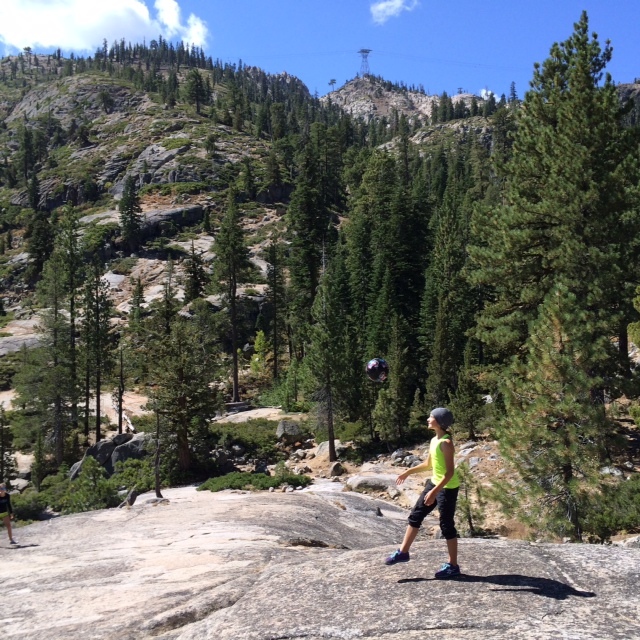 I’m almost done with my daily juggling for the summer, with school starting and my soccer season under way. But we have some events planned in September, and I know the donations will keep coming in.